When doing research into hair extensions online, you’ll find many horror stories of people who have had a bad experience. Bald patches, breakage, thinning, matting and discomfort are among the most common complaints. At Arabella Rose, we take the concerns of our customers very seriously and seek to put your mind at ease when it comes to the safety of our micro ring hair extensions. Compared to clip-in, glue-in and other similar types of hair extensions, the micro ring technique is extremely safe and kind to your hair. Because no glue or heat is used, you can rest assured that your natural hair won’t be damaged. What’s more, at Arabella Rose Hair Extensions Salon we only use the highest quality Russian hair, which is always cuticle correct to avoid matting and tangling. Our micro rings are custom-made to fit your hair’s thickness and strength, and we avoid using heavy or inappropriate rings that could cause damage. Our fully trained and experienced stylists take the utmost care every single time they apply and remove your hair extensions. This meticulous approach is vital to ensure that your natural hair doesn’t suffer any damage. We never rush appointments or cut corners just to save time – that’s a promise. Arabella Rose offers an in-depth aftercare service and, for all new clients, a free follow-up appointment four to six weeks after your hair extensions have been attached. This allows us to assess and identify natural shedding volume and hair growth rate. For most clients, maintenance appointments usually occur every three months. We recognise, however, that there may be a small number of people who experience an excessive shedding rate or fast hair growth, and we’ll arrange a follow-up a little sooner in order to prevent any possible damage occurring. Our aftercare service is completely free and gives new clients complete peace of mind. Rest assured that if it’s your first time with Arabella Rose, we won’t just put in your extensions and then send you away for three months. 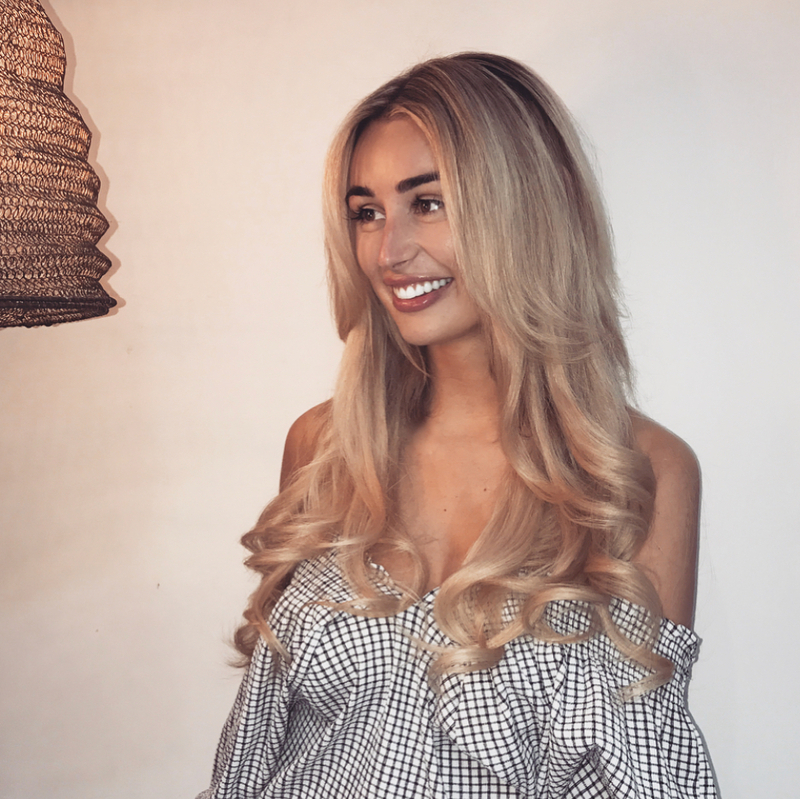 Contrary to hair extensions damaging the natural hair, our clients find that their hair improves greatly in condition and length after having extensions fitted. First, the hair extensions can act as a protective barrier of the natural hair. When you use heat and styling tools, you’ll find that there’s less direct heat on your natural hair than previously because the majority of the heat now goes onto the hair extensions. You may also discover that you don’t use styling tools as frequently because your hair looks great without the need to style it further. The combination of less styling and less heat allows the natural hair to strengthen and become healthier over time. It won’t snap so easily and become dry like it often did before you got your extensions. Second, like many of our clients you may use your hair extensions to create colour instead of bleaching or colouring the natural hair. Some just tend to either highlight or colour their T-section (top section of hair), keeping bleaching and colour to a bare minimum, while others leave the top section natural to create an ombré look. As a direct result, the natural hair tends to become thicker and longer in length – as it has with many of our clients.